← Redsox in the World Series 2013 ! FIGHT THE INFERNO IN MIGHTY SWITCH FORCE! 2, RELEASING ON NINTENDO eSHOP FOR Wii U THIS WEEK ! Game Description: The sequel to the universally acclaimed Mighty Switch Force, and the newest game in the Mighty series! It’s a Code Red from the Galactic Fire Brigade! Planet Land is combusting and everything is ablaze! Return to HQ immediately and pick up your Infinity Dousing Apparatus; your Siren Helmet is still authorized and up to code! The mission: to fight the inferno and extricate the reformed Hooligan sisters! Now, suit up and start soaking some scenery! himself and all of humanity as he seeks answers across the globe. Game Description: Just Dance Kids 2014 brings the fun of the Just Dance franchise to younger children. With 31 all-new songs from kids’ favourite pop stars, TV shows and movies, the game includes awesome hits such as, “Hit the Lights” by Selena Gomez & The Scene, “One Thing” by One Direction, “Give Your Heart A Break” by Demi Lovato, and “Get Ready to Wiggle” by The Wiggles. Discover new modes specially designed for Kids aged 3 to 6 such as the Dance Director mode exclusive on Wii U. Game Description: Unique to the classic series, Donkey Kong 3 is a frantic action game starring newcomer Stanley, whose greenhouse has been invaded by the troublesome ape and swarms of angry insects. Armed with a spray can, you must push Donkey Kong up the screen while fending off the swarms of bugs intent on stealing Stanley’s precious flowers. Avoid the coconuts that DK throws at you, and try to grab the power spray can for a few seconds of supercharged spraying as you aim for a high score!This is the US version of the game. Game Description: It’s the bottom of the ninth. You’re at the plate. Here comes the pitch. You swing… It’s a smash deep into centre-field. A home run! In the NES classic BASEBALL, you control every action. The swing of the bat. The speed of the pitch. The hits, the steals, the double plays. Pit your skills against the computer or challenge a friend. All it’s missing is the smell of hotdogs!This is the US version of the game. Game Description: The NES version of PINBALL was one of the first video game recreations of the classic game, and is still as crowd-pleasing as ever. Use the flippers to keep the ball in play for as long as possible, and rack up a winning score. There are two difficulty settings, and modes for one or two players so you and a friend can battle for the highest score. Mario also makes an appearance in the bonus stage in which you must save Pauline, the damsel in distress from Donkey Kong, with your pinball prowess!This is the US version of this game. Game Description: Phoenix Wright™: Ace Attorney™ – Dual Destinies sees the return of courtroom hero Phoenix Wright. The much-loved gameplay and features from previous titles in the Ace Attorney™ series are back, but for the first time in stunning 3D graphics, bringing the courtroom and characters to life and putting players directly in the heart of the action. game. The lights are on, the cameras are rolling and now it’s time for some feathery shooting action! Game Description: Experience the thrill of high-speed snowmobile racing across wildly varied beautiful winter vistas in a game perfectly suited for the Nintendo 3DS. Challenge your friends and foes in local multiplayer races via Download Play. Progress through challenging tournaments for high scores and medals to unlock better, faster and more fun snowmobiles. Game Description: Gummy Bear Mini Golf is an entertaining 3D mini golf game which immerses everyone into the world of crazy golf. This party style game is ideal for all age groups and can be played up to 4 players simultaneously. The simple tap and flick interface is ideal for all level of gamers, so whether you are a professional golfer or just an amateur, this game is for you! Game Description: The hidden Kingdom of the Gummy Bears is a tantalizing, colourful world overflowing with mouth-watering sweets! For years King Sour Berry searched for a magical artefact called the Gummy Bear Medallion, which kept the Gummy Bears hidden from him. The king finally found it and removed the three mystical gems making the Gummy Bears visible. The kings Crazy Candy Army chased and captured them setting traps for those that avoided capture. The kingdom is now under the rule of King Sour berry. You are the Gummy Bears only hope to save them from a life of unhappiness. You must accept the quest to find the gems and return them to the Gummy Bears Medallion. Only then can the magic of the medallion hide the Gummy Bears once more from the evil King Sour Berry and his Crazy Candy Army. Game Description: For both the casual and the serious gamer Bowling Bonanza boasts full 3D rigid body physics. Create any kind of shot by adjusting your stance, direction or ball spin or for the more serious, position the ball and shape the shot as required. Game Description: Prepare to get closer to the battling action than ever before – it’s time to let it rip with Beyblade Evolution on Nintendo 3DS! Use the motion controls of Nintendo 3DS and get closer to playing for real than ever before! Experience an exciting story in the world of Beyblade as you face off against familiar heroes and villains to become a champion Blader. Collect a huge number of unique Bey parts and combine them to build the perfect Bey, then use it to smash the opposition! Face off against your friends using Local Play, or collect StreetPass data to battle other players! Use the AR Card packaged with the game and do battle in a virtual arena! Get a sneak peek at the future by unlocking the all-powerful Samurai Ifrit W145CF Beyblade from Beyblade: Shogun Steel! The Collector’s Edition of Beyblade Evolution comes with an exclusive Winged Pegasus 90WF Beyblade, which will never be available to buy anywhere else! Game Description: The world of Otome games comes to Europe for the first time! At the time when shogunate and imperial forces clashed for supremacy over Japan, Chizuru travels to Kyoto in search of her missing father. She runs into the Shinsengumi, a band of samurai warriors sworn to protect the shogun. Chizuru soon learns that they too are looking for her father. What awaits them is more than just a missing persons case, as they face off against not just imperial soldiers, but the supernatural as well! In the midst of all this madness, will the sweet and innocent Chizuru find true love? Only you can decide! Game Description: The sick animals need you! Live the dream life of a true veterinarian. Improve and expand your surgery to accommodate more patients. Dogs, cats, horses, birds… they all need your care! Game Description: Travel to over a dozen stunning locales in your quest to become a master angler. Fish in tranquil lakes, rocky coastal waters, and more, all in 3D that brings every leaping fish and splash of water to life. A huge variety of fish will test the expertise of even the most seasoned fishing veterans, from wily bass to powerful Bluefin tuna. Game Description: The Peaceful Woods were once a safe haven for all gentle creatures…until Wario turned up. Now the place is swarming with monsters, and only Toad can clear up the mess! Wario’s Woods is a fast-paced puzzle game in which Toad must line up bombs and enemies into rows of matching colours. Clear enough sections of the forest to go up against the mighty Wario himself! This version also features Download Play allowing you to connect to another player’s Nintendo 3DS and compete in a VS battle, with just one copy of the game. Video Description: Take a 3D excursion to some of the most interesting places in the world, including the Eiffel Tower in Paris and the Coliseum in Rome. (Download) €4.89 (£4.29) Until 31/10/13 23:59 local time. (Download/Card) €9.99 (£8.99) Until 31/10/13 23:59 local time. 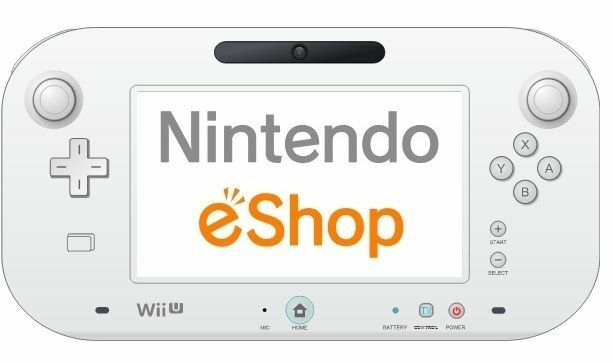 Nintendo eShop on Wii U or Nintendo 3DS/Nintendo 3DS XL offers a variety of free and paid for software, as well as videos, user reviews and more information about Wii U and Nintendo 3DS software. On Wii U, users can download free game demos and Wii U Download Software or watch videos. On Nintendo 3DS/Nintendo 3DS XL users can download free game demos, Nintendo 3DS Download Software, classic games for Virtual Console, Downloadable Videos and Nintendo DSiWare. Download versions of selected Wii U Disc software or Nintendo 3DS Card software are also now available (additional storage devices may be required to download these games from Nintendo eShop). Funds to purchase software can be added using a credit card or through Nintendo eShop cards which can be found at retail stores. The Wii Shop Channel & Nintendo DSi Shop offers games and applications and uses Nintendo Points which can be purchased via the Wii Shop Channel & Nintendo DSi Shop, as well as in selected retail stores. All points from one card must be redeemed in either the Wii Shop Channel or the Nintendo DSi Shop, respectively. They are not transferable and cannot be divided between the two systems. The worldwide pioneer in the creation of interactive entertainment, Nintendo Co., Ltd., of Kyoto, Japan, manufactures and markets hardware and software for its Wii U™ and Wii™ home consoles, Nintendo 3DS™ and Nintendo DS™ family of portable systems. Since 1983, when it launched the Nintendo Entertainment System™, Nintendo has sold more than 4.1 billion video games and more than 655 million hardware units globally, including the current-generation Wii U, Wii, Nintendo 3DS, Nintendo DS, Nintendo DSi™ and Nintendo DSi XL™, as well as the Game Boy™, Game Boy Advance™, Super NES™, Nintendo 64™ and Nintendo GameCube™ systems. It has also created industry icons that have become well-known, household names such as Mario™, Donkey Kong™, Metroid™, Zelda™ and Pokémon™. A wholly owned subsidiary, Nintendo of Europe, based in Grossostheim, Germany, was established in 1990 and serves as headquarters for Nintendo’s operations in Europe. ⃰ All indicated prices are inclusive of applicable VAT.